On Friday, Yelp announced that it will now allow users to find out if a business has a gender neutral bathroom. Yelp’s definition of a gender neutral bathroom is a single-stall bathroom accessible by any gender. Yelp will collect this information from users and business owners in two ways. We will begin asking users who check into or review businesses like restaurants and retail shops if those establishments offer restrooms that are gender neutral. 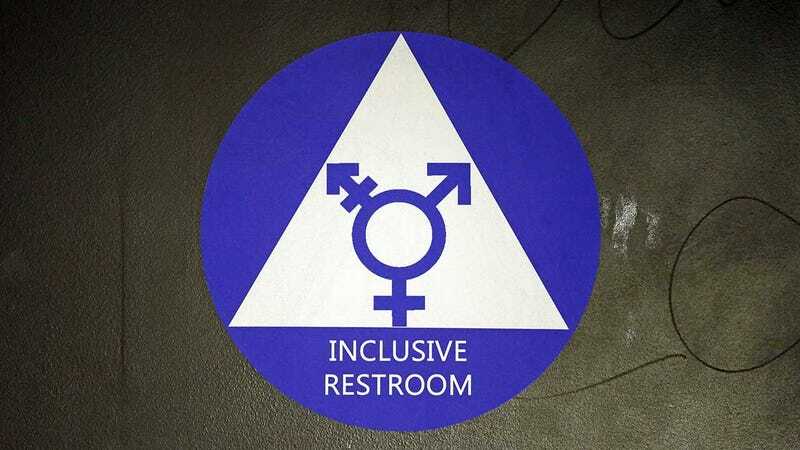 Additionally, businesses owners can edit the Gender Neutral Restrooms attribute from their business user account. The only potentially concerning aspect here is that regular users will be able to signify if a business has a gender neutral bathroom, not just the business itself. On one hand, this means a lot more data points can be added to Yelp’s database. On the other hand, because people are assholes, trolls could potentially misrepresent that status of an establishment’s bathroom. Moreover, since REFUGE Restrooms’ database is open source, it would be nice to see Yelp open to integrating some of that data into its system, too. At the very least, that would make the feature more accessible more quickly. As for the timing, Yelp’s decision to add gender neutral bathroom identification to its platform probably isn’t coincidental. Just last week, President Trump overturned an Obama-administration directive that told public schools they would have to allow students to access the bathroom of their choice. Meanwhile, earlier this week, Yelp, along with 52 other tech companies, signed an amicus brief on behalf of Gavin Grimm, a transgender teen who is suing his high school over the right to use the boys bathroom. Grimm’s case will be heard by the Supreme Court later this month.